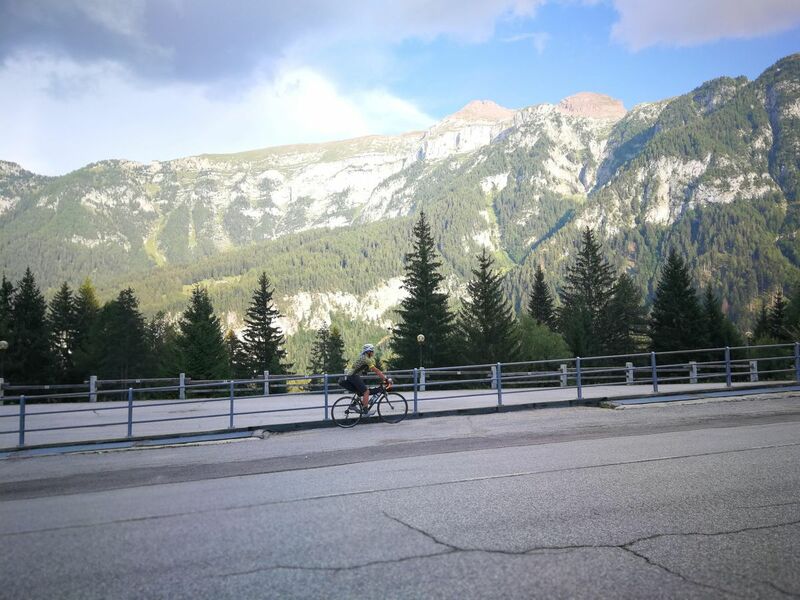 The Dolomiti-Garda DOGA alpine cycle route crosses the magnitude of the Natural Park Adamello Dolomiti Brenta to reach the picturesque Garda Lake in Trentino. The route has a distance of 110 km along tarmac and some gravel sections. Starting in Malè in Val di Sole, the route meanders between remote valleys, alpine villages and magnificent landscapes as far as the eye can see. Get the Bikemap app for your mobile to ride DOGA - Dolomiti-Garda Alpine Cycling Route, to track your own routes and to share them with an active online community of 1,000,000+ cycling enthusiasts.